From white to blue, this Aaron Basha charm's for you! 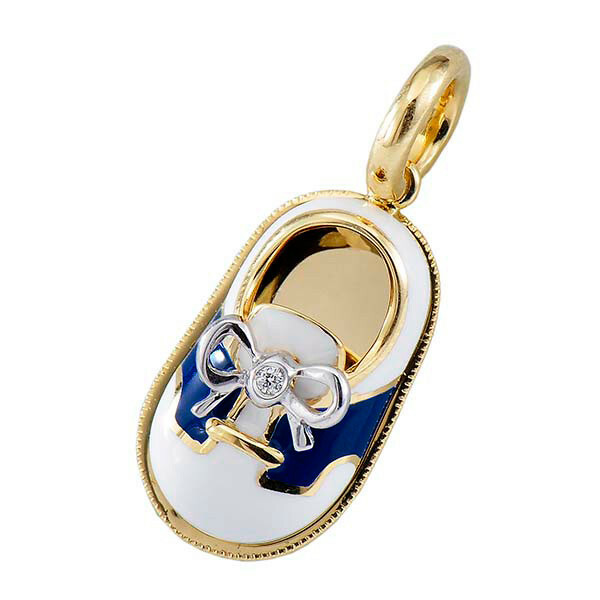 From the Baby Shoes collection, this 18kt yellow gold charm is accented with beautiful white and blue enamel to create a saddle shoe. The sparkling white diamond bow adds a glamorous touch to such a darling trinket. From blue to white, Aaron Basha is dynamite! !